Women are more likely than men to experience the numbness and tingling associated with carpal tunnel syndrome, a group of issues relating to the tendons and nerves in the wrists. Marla Ahlgrimm asserts that females may be more affected because their wrist bones are naturally smaller, creating a tighter space through which the tendons and nerves to pass. According to Marla Ahlgrimm, carpal tunnel syndrome typically begins slowly, with numbness, tingling, and burning wrists. The thumb, middle, and index fingers are most often affected. Many women report only feeling symptoms at night and do not make the connection between the symptoms and daytime activities. Hand weakness is also common. 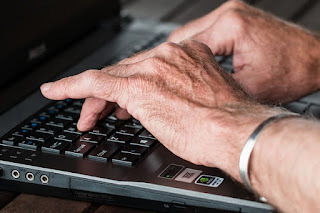 Repetitive movements – Marla Ahlgrimm explains that people who use their hands and wrists daily in jobs that require repetitive motion are more likely to be diagnosed with carpal tunnel syndrome. Menopause – As a woman’s hormones levels change during menopause, her chances of developing carpal tunnel syndrome increase. Other medical conditions – Lupus, obesity, rheumatoid arthritis, diabetes, and hypothyroidism can trigger inflammatory responses in the wrists and lead to carpal tunnel syndrome, says Marla Ahlgrimm. Carpal tunnel must be treated by a healthcare provider to avoid permanent damage to the nerves of the wrists and muscles of the thumb and hand. Left untreated, carpal tunnel syndrome can result in permanent loss of feeling and reduced hand strength. Marla Ahlgrimm explains that treatment for carpal tunnel varies patient to patient but may include a wrist splint, rest, short-term nonsteroidal anti-inflammatory drugs, physical therapy, and surgery.